With autumn time comes a feeling of thankfulness ushering in the season for Thanksgiving and with that time I go back to why we celebrate Thanksgiving. Those that came before us seeking religious freedom so they could worship God as the Bible dictated, not man, gave us the impetus for Thanksgiving. The Pilgrims – we tend to think of them in black and white outfits, buckles on their shoes and hats and well uptight. When I was given a chance to review The Pilgrim Story from Dayspring Christian Academy and use it with my girls I was very excited! Dayspring Christian Academy uses what is known as the Principle Approach, if you’d like to read a little more about the Principle Approach visit Dayspring’s website. They also have a brick and mortar school located in Pennsylvania but also offer online courses as both self paced and live classes. 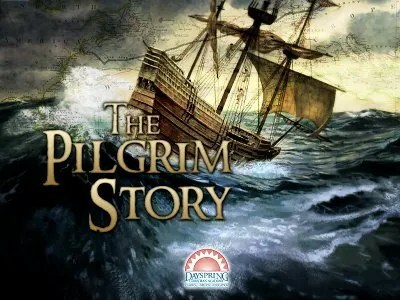 The Pilgrim Story is for grades 3 through 6th but some of it could even go up to maybe 8th grade depending on what you want your child to get out of it. The class itself costs $99.00 which sounds steep but you will get access within 48 hours of payment and have access for 6 months, which will be plenty of time to finish. I’ve had both of my girls doing this, my 8 year old 3rd grader and my 10 year old 5th grader and while the oldest is enjoying it my 3rd grader doesn’t like the writing. This is mainly due to the fact that she writes quite large and the blanks on the note sheets aren’t large enough to accommodate her writing and it stresses her out. Either I or her sister writes in some of her blanks for her to keep the peace. The only other cost was to purchase a 3 ring binder for each child and printing pages off – I chose to print in only black and white or on gray scale to save on ink cost. If you don’t already have them you’ll also need five tab dividers to go in the binder and those will be labeled according to the units studied and everything will be stored in the binder, creating a nice keepsake of what they’ve learned by the end. I included this in our day usually after the rest of our school was done, since it’s self paced you can chose when to have your child complete the lessons – in the early morning, late afternoon or late at night. I personally found it easier to have both girls working at the same time rather than listen to everything twice. There were interactive features, the one that really caught my eye was the one where it showed a man, woman and child acting as if they were on-board the Mayflower describing the conditions on-board. They clicked on the person and listened to them talk, complete with swaying ship sounds and gulls flying overhead. There are writing assignments, and since I had one who has difficulty with that I chose to let them do them orally with me, which led to some great discussions. There are mapping and other activities, like translating Greek (it’s quite easy for the most part and there is an answer key!) or making hard tack and sailing a mock Mayflower made from an egg carton. A lot of what I learned from listening along with my girls I never learned in school and I think that is partly due to the fact that this is Christian in it’s viewpoint as well as using primary sources, or original accounts of the Pilgrims. I also want to mention that throughout the lessons there are sheets for vocabulary, famous quotes and even a letter and other written accounts that go along with the lesson and are invaluable and should be included as you print the lessons out. The areas covered will be King Henry, the Geneva Bible, building Christian Character, the Mayflower Compact and much, much more! Each lesson has taken about 30 minutes, but depending on which extra activities we do it adds a little extra time but nothing more than an hour a day. At the end of each unit there is a unit test, your students should study for these as my daughters found out in unit 1, you can chose to have them complete a multiple choice or an essay – for the sake of time I let them each do the multiple choice but plan on having my oldest go back and do the essay ones at a later time. Once the test is completed the grade is given and you can print it off which also includes the correct and incorrect answers. I then put the printed results at the end of the unit in the binder since I will be using this as part of their portfolio at the end of our school year. There are five units and my girls are on the last lesson in unit three and are looking forward to completing it which at the end gives them a virtual field trip to Plymouth, MA. If you’d like to see what other homeschooling parents thought visit the Schoolhouse Review Crew blog. ****Disclaimer: As a member of the Schoolhouse Review Crew, I received this product, at no cost to me, in exchange for my honest review. All opinions are mine. As parents we strive to make learning relevant and sometimes in that endeavor learning should and can also be fun. I’ve learned that my children can recall more facts and sharpen their skills when they have fun while working on those skills and that is where ZooWhiz comes into play. For the purpose of this review I was given a premium membership for all three of my children, and since the site is for ages 5 to 15 it fit in with all our ages in this house. 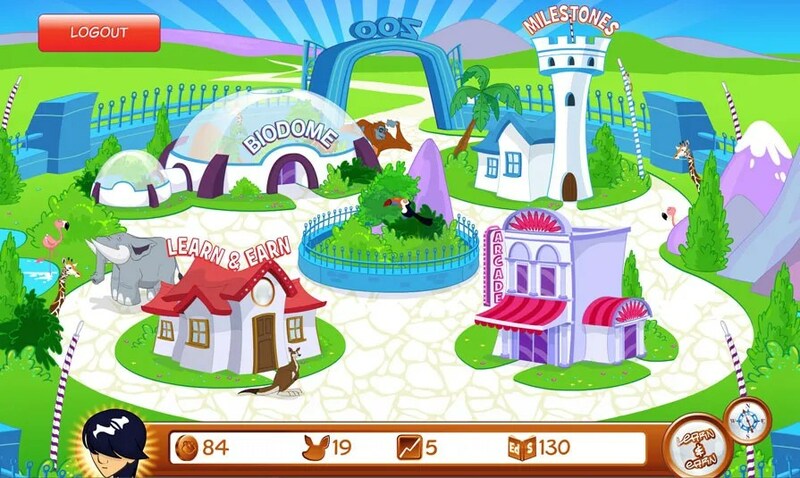 ZooWhiz is for math, reading, grammar, punctuation, and word skills while at the same time being fun and allowing children to collect their own animals to create their own zoos. The main idea is to play educational games that earns the child coins that can later be spent. The child will enter their account after logging in and click on Learn and Earn which has games for math, reading and words that will help them in sharpening or keeping up on those skills. For each educational area completed the child will earn coins. The bottom of the screen will tell your child how many coins they’ve earned, number of animals and other information your child needs to keep track of as they go through and play and earn. Once they play the educational games and earn some coins they can go to the arcade and play some just for fun games. The games cost coins so children will also learn how to save their ‘money’ to buy an animal for their Biodome or to ‘blow’ it on a game. My children have realized that if they want a certain rain animal they’ll need to forgo playing in the arcade or play more educational games to continue earning. The games will need to be unlocked and they are based on your child’s age, once unlocked they can only play the game if they are okay with spending their coins – which usually cost 50 in order to play a game. The Biodome is what my 8 and 10 year old like the most, my 6 year old prefers the Arcade. 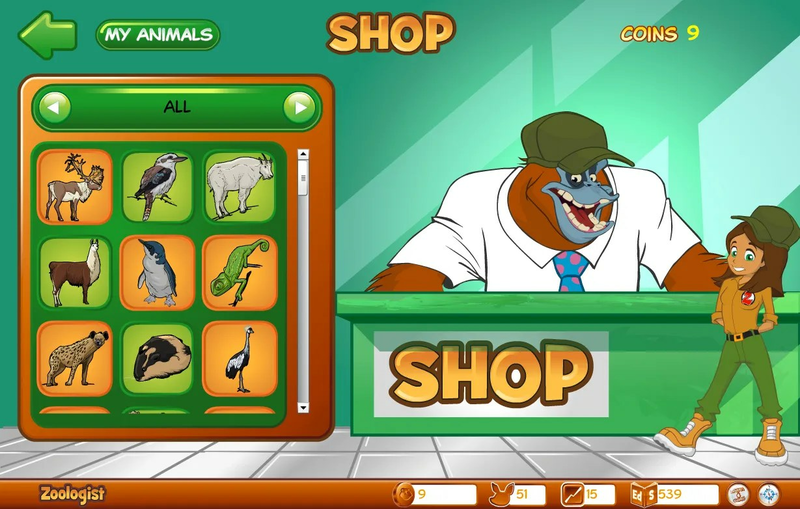 You can shop in the Biodome and choose an animal or animals that you want to buy – from an artic hare to a bison all the way up to more exotic like; giraffe, squid and dinosaurs. Some animals are only available to premium members and the cost for that is $14.95 for one year, that is unlimited access to the site, maximum motivation, and more. Some animals start at 100 coins going all the way up to 5000 coins – this can help your children learn delayed gratification and how to plan to spend their coins. If you have questions about ZooWhiz contact them, the customer service is great. After shopping the child can see their animals that they’ve bought and click on it to bring up information about the animal such as habitat, diet, threat and other details like size or weight, again for premium members. The free Keepers account the child will be able to see basic information such as class, order, scientific name and more. Children and parents can log as well to see the milestones they’ve achieved, by choosing which subject area then the parent or child can view how much has been completed in each area and in what age level. By further clicking you can pull up which activity it was that was completed and even use it as a review if it was missed by going over it with your child. 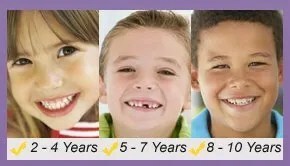 Depending on how well they’ve done they will get a smiley face, a half smiley or an angry face (if they’ve missed a lot) – which is easier for smaller children to understand and process. All three of my children enjoyed it, although my oldest and youngest were on it more than my middle. I used it as a reward for getting their work done in our regular school day and as long as we didn’t stress over things missed and as long as my oldest had help with instructions being read they’d enjoy it. While one enjoyed the arcade more, one enjoyed the Biodome and even one preferred to play as many educational games and then make a trip to the Biodome entirely skipping the arcade – it’s interesting to see how their personalities play into how they learn as well as play on this site. The only thing that I had a problem with was the fact that there isn’t an option to turn sound in order for directions to be read to the child, so if you have a non-reader or beginner reader this could be a hindrance unless you or an older reading sibling can help. My son hated missing so much because he couldn’t read the directions but when my oldest or I read them to him he did great. Even my reading middle daughter needs oral instructions in order for her to process them so that would be a major plus for my family in adding sound if the child needs it for instructions. Regardless, this is an awesome educational website and I forgot to mention my children all enjoyed what sounded like an Australian accent when they’d get a problem correct. If you’d like to see what other homeschool parents thought about ZooWhiz visit the Schoolhouse Review Crew blog. One of the things that I love about being a product reviewer, is not only getting to use some fantastic products, but also to let you know about them. I so enjoy telling others about products that I personally use and enjoy and get benefits from and the product is one that can be trusted. Beeyoutiful fits all that and more with their statement “At Beeyoutiful, we believe that each individual is responsible for their own health. It is not a doctor’s responsibility to keep you in good health” they know it’s important for each of us to take our health seriously and use things that nature intended when it’s feasible and of course, safe. You can contact them if you’d like to find out more information regarding the company or products. I’ve loved the other Beeyoutiful products I’ve had the pleasure of using because they are all natural and high quality. I had the choice of several different packages such as the Berry Well set, the Skin care set and the newest from Beeyoutiful Skin, make up. I don’t wear make up but when I think of how dry my skin gets I knew the skin care set was what I needed. Whether it’s from my type 2 diabetes, forgetting to drink water, the cooler weather or a combination I knew my skin needed pampering. 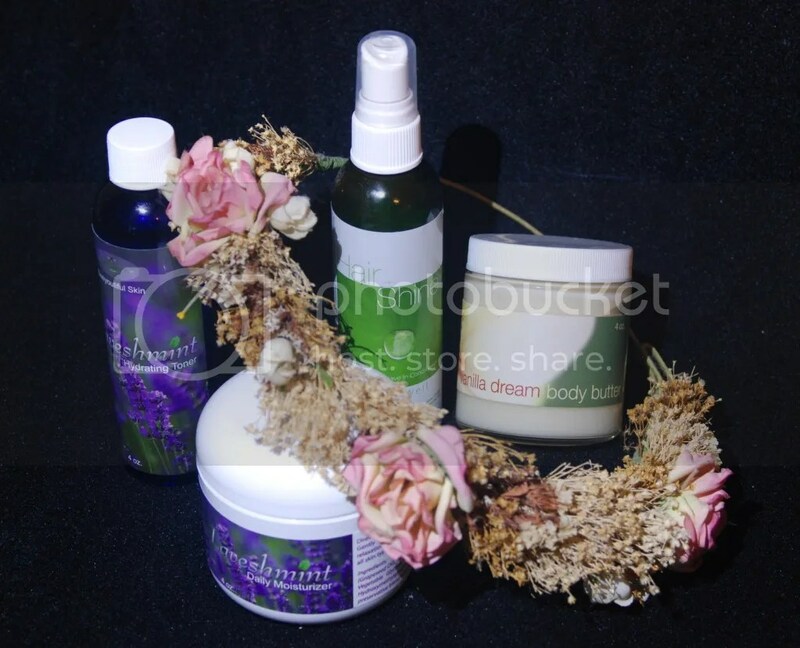 In the skin care set is the Laveshmint Hydrating Toner, Laveshmint Daily Moisturizing Lotion, hair shine, and Vanilla Dream Body Butter. This group goes together wonderfully and left my hair, face and body moisturized all day long with light scent and natural ingredients that I also didn’t mind letting my daughter’s use them as well. If I had to chose my favorite product it would definitely be the 4 oz. Vanilla Dream Body Butter, it comes in a beautiful glass jar with plastic lid. It’s a very light vanilla scent, so it’s great for people like me, who are sensitive to strong scents. It doesn’t take much of the butter to go a long way in moisturizing the skin – I preferred to use it after I shaved as the soothing nature of the butter and the all day lasting moisture gave relief to dry, shaved legs. It’s relaxing scent lasted all day. It’s made with “shea butter, vanilla-infused oils of coconut, olive and grapeseed, grapefruit seed extract, essential oil of ylang ylang and vanilla plantifolia augment the ancient vanilla bean.” The jar of Vanilla Dream Body Butter sells for $15.00 and you can get discounts for multiple jars. 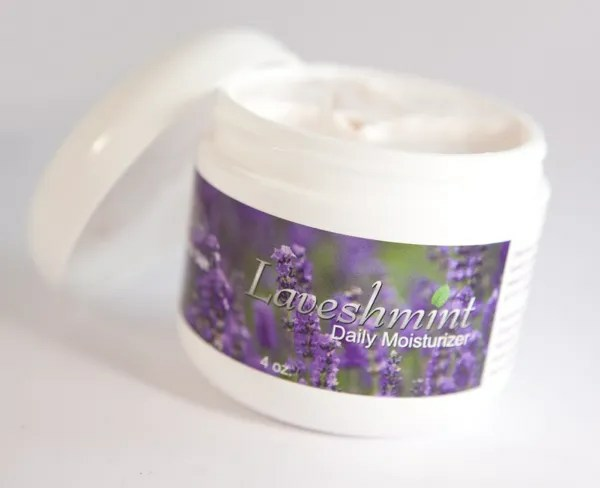 Next up is the Laveshmint Daily Moisturizer which as it’s name suggests smells like lavender and mint and is again lightly scented. This 4 oz. jar sells for $12.00 and like the body butter will last a long time and it’s paraben and formaldehyde free making it a wonderful alternative to the regular moisturizers on the market today. I must say that I didn’t use this often, I tended to sweat profusely on my face after applying it, so maybe my face isn’t as dry as I thought or it just doesn’t handle moisturizers. According to the website it is good for all skin types, including sensitive types and it’s not supposed to leave a greasy residue – however for me it left me sweating. 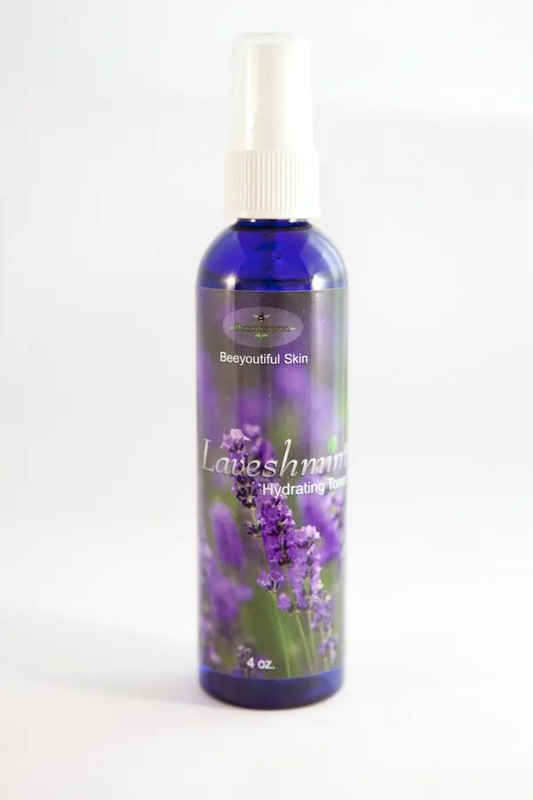 My next favorite is the Laveshmint hydrating toner, I would apply this after getting out of the shower to help close my pores and give me a cooling and relaxing spray to my face to help give it some extra moisture. This may have been the problem with the moisturizer as I’d add it after I used the toner? The lavender gives a relaxing all day smell that again is pleasing as it’s not overpowering. It’s 4 fl. oz. runs $14.00 but with only a spritz or two it will also last a long while. I also used it on my severe sun burn a few weeks ago and it felt so great, and that could be the natural aloe vera that is in the product. It can also be used to cleanse wounds, uplift your disposition as well as calm and relax. Lastly, but not least is the Hair Shine – which is a spray, leave in conditioner that comes in a purse worthy size of 4 fl. oz. I used this on my and my middle daughter’s very thick, long and tangle prone hair – and it works so much better than other de-tanglers/leave in conditioner that we have used. At $15.00 it’s money well spent when the product actually works and of course, is all natural. It’s made with aloe, essential oils of rosemary, lavender and citrus so hair won’t be left greasy. I’d use it on our dry hair after a night of tossing and turning and it cut down the tears of brushing but at least a half and afterwards our hair was silky, shiny and smelled wonderful. 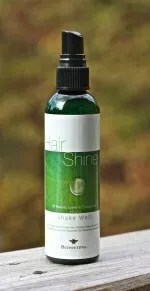 Hair shine can also act as a body spray, on your face as an astringent, for use in sunburn (just don’t use before play in the sun with the oils), and even for insect bites! I could spend so much more time raving about these products, but one thing I do know is that I’m going to continue using these, even the moisturizer as it seems winter will be here soon with our temperatures dropping as fast as they are. These products are excellent in quality and since many have more than one use are definitely worth what they cost, both is uses and longevity. The sizes of all products make them easy to toss in a purse or in a suitcase allowing quick freshening up if needed at the beach or away from home. If you’d like to see what other homeschool parents thought visit the Schoolhouse Review Crew blog. 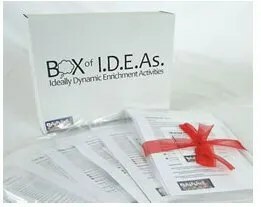 To me when I think of box curriculum I think of boring and not at all adaptable to each individual child, but no more with Box of I.D.E.A.S it brings a box of curricula alive and of relevance to today’s child in a way that engages and keeps them occupied and wanting to learn. I received the WWII box based on Pearl Harbor, as my oldest said she was interested in studying this, but it’s so much more than just Pearl Harbor! You may be wondering what you have to buy in addition to the box, and the answer is, nothing. All you need is a pencil or pen – the only other two needed materials for the WWII box is a pair of scissors and a ruler. I love the fact that there is nothing more to buy in order to use the packets, they come in large plastic bags which are easy to grab and go in you want something transportable. You can purchase extra student modules which are copies of the consumables if you have more students who want to join in for $4.00. The recommended age is 9 to 12 but it is fully adaptable for any child if the parent decides to do so. To give you an idea of one of the modules in the WWII box – the module for “Day of Infamy” includes the introduction, extensions, weblinks, time and words in the Day of Infamy speech, Day of Infamy speech and FDR’s original notes, and 40 The Longest Morning activity cards with instructions. My children learned about Pearl Harbor before it was a base, something we don’t always think about, we just somehow believe it was also there. Before the attack, day after the attack, a year after the attack, victory over Japan and decades after the attack and more are all covered in these modules. This wasn’t something I scheduled into our day – all my children wanted to participate so I tried to include even my 6 year old when I could. We also aren’t studying this period in history – but my children all seemed to be very interested – these are truly grab and go modules. We would pull out a module if we needed to fill a spare moment or if I knew we’d be waiting awhile for an appointment, all I needed to make sure was that I had the pencils, the module (being in a plastic bag helps keep it neat and clean and undamaged) and anything that needed cut or put together before hand, which wasn’t a lot. We haven’t worked on every module as there were some that needed more work than others and there were some like the activity cards that we turned into games that we enjoyed playing over and over. There are 10 modules in the Pearl Harbor box, each bag has a label on the outside detailing what’s inside, what materials you’ll need (pen, pencil, ruler, scissors) and also a quote. One way that’s suggested we could use the quotes is as copy work, expository writing or as a discussion starting point – which is how I used it as some of my children don’t like writing while another already has a lot of ‘extra’ writing requirements. There are also worksheet pages that can be used as extra practice for what they’ve learned and put into a portfolio to show their work or a scrapbook of their accomplishment. There are other modules like quilting, salt, and laundry as well as some soon-to-be released boxes like cemeteries and pine. I’m looking forward to trying out more Box of I.D.E.A.S in the future, whether you use it like we did to fill in spare time with something educational or to take a break from your regular schedule, there are many ways to use the box you chose. If you’d like to contact Box of I.D.E.A.S you can do so using their contact page – and they have some great customer service. If you’d like to see what homeschool parents thought of Box of I.D.E.A.S visit the Schoolhouse Review Crew blog. In our house we enjoy music – my husband can play drums and the guitar and a little piano, I prefer to sing and listen. My 8 year old has a penchant for getting a tune and recognizing a song upon hearing it only once – she can also tell Vivaldi from Mozart. I was excited to get the Music Together which is geared for all ages up to age 7 and is an internationally recognized music and movement program. Started in 1987, “it pioneered the concept of a research-based, developmentally appropriate early childhood music curriculum that strongly emphasizes and facilitates adult involvement.” So I had great ideas on how to use this with my children! I was given the Music Together Family Favorites CD that has songs like: Hello Song, Biddy Biddy, John the Rabbit, One Little Owl and 15 more songs – you can listen to samples here or you can purchase it for $14.95. It comes with an included 32 page booklet that gives simple ideas for movements and activities relating to the songs and can be used in the car or home-school. Even though this is geared towards ages up to 7 all of my children quickly became bored with the music and my oldest found it to be annoying, as did my husband who asked me politely not to listen to it while he was with us. The other component I was given is the Family Favorites Songbook for Teachers which sells for $29.95 and this was by far my favorite of the set – I loved all the information given in this book, including the printed music for the accompanying CD. I’m a firm believer in music really does help a child excel in academics and even in life and this book really drove that idea home for me. Divided into three sections: the opening that goes over the Music Together approach, how to use instruments and props and more, the middle section which gives teaching ideas for all ages and settings, infants, preschoolers and older children and special needs children, the final section includes more information about the Music Together program and how to become involved. For my purposes I used the book to glean ideas on how to use this with my children, focusing mainly on my 6 year old and he loved the instruments including when I’d let him bang on some pots and pans to make his ‘music’ for the song Playin’ in the Kitchen. As I said above, my children (including 6 year old son) quickly found the CD to be annoying – and I don’t know if that is because they’ve been exposed to Classical, Hymns and other high quality music from uteri until now – or not but they didn’t agree with me that the music was fun to dance along with of course I have what Music Together labels the “silly quotient” when it comes to music. Keep in mind that I don’t have preschoolers or infants and I honestly think that parents who do have children in these ages, or children who are special needs, would find this to be well worth their time and investment. The CD is wonderfully produced and is clear and crisp, the book gives so many ideas and the posters that are included are beautiful renderings that I enjoyed looking at as I went through the book. I think if parents who aren’t sure how to introduce music to their young children will find this book and CD very user friendly and easy to implement, but I would start young. Overall, I really liked the program and if my children were younger they would have enjoyed it more as well. You can read what other homeschool parents are saying at the Schoolhouse Review Crew and if you have any questions about their program or becoming involved you can contact Music Together. What if I told you that doing a unit study with your children could be something you could do without prep work? You’d probably laugh in my face, but, before you do, let me introduce you to Homeschool Legacy. Homeschool Legacy provides a once a week unit study that takes all the prep work out of unit studies, making it feasible for families large or small and with varying ages and abilities since they are geared toward 2nd through 12th grades. 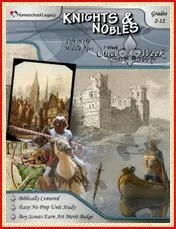 I even had my 1st grader participating in our Knights and Nobles study. You can view a sample of a scheduled at the website, but the study is easily customizable to your family’s needs and schedules. We did ours within a Monday through Thursday since we don’t do school on Fridays. The most prep work needed is a quick library search, or if you want to gather all the books at one time, a lengthy search – I suggest using your library’s online capabilities. Then pick up the books, unless your going to do the suggested field trip, that is the extent of the prep work. 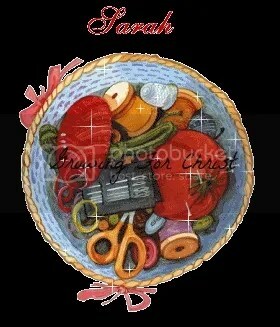 Supplies for each week’s work is also given at the beginning so you can have it all gathered before hand. There is both independent reading and the family read aloud – I made all our choice family read aloud since even my middle reader doesn’t like to read on her own – it was easier and everyone was included. We have read some fantastic books that I never would have sought out otherwise! There is the family devotional, which aims to keep the child focused on the Lord and includes the story of Esther, Solomon and the armor of God – all keeping with the royalty theme. Arts and crafts are included, such as making your own bookmark using the illumination technique. History, literature and research skills are included as are suggested field trips. In week one you can visit Biltmore Estate if you live near it, look through the book on the Estate or visit a stained glass artist. Since I can’t visit Biltmore and the book was no where to be found in any of the three libraries I use, I’m lining up a field trip to a stained glass artist. Unfortunately, they have been on vacation so the field trip will take place after this review publishes. A family movie/game night is also encouraged which can draw dads into what the children are learning and makes a tidy and fun wrap up to the week. I also used this study in conjunction with our current history curriculum and it tied in so well with all that the children have learned thus far. At the end you can chose to put on a Medieval Feast – we haven’t reached that part yet – but in case you’re worried that there are foods that wouldn’t be liked, they are all tame. Some of the foods are sweet capon, may sallat, handmade butter, custard tarts and all – to make it more authentic, dress up! My children have enjoyed doing this study and have especially enjoyed the read aloud books that we’ve done thus far – they ask if they think I’ve skipped it – since it works into our regular schedule and what we’re currently studying I’m sure it feels like we have skipped something when instead it just fits fluidly in with what we are doing. If you’d like to see what other homeschool parents thought about Homeschool Legacy’s unit studies check out the Schoolhouse Crew Review blog. His face was pale, but his eyes kindled with indignation as he stood in front of the girls protectively. Ezra dropped the pitchers in the sand and his hand ashed to a dagger, concealed under his tunic. Jarah’s eyes grew wide. He could be killed for carrying a dagger! Jarah was a slave in Egypt. It was a dangerous place to be.Her work was exhausting and her family was torn between the gods of the Egyptians and the God of Abraham, Isaac, and Jacob. And her brother… would his Ada be given in marriage to an Egyptian in the palace? Would they ever be free? nd themselves at the culmination of four hundred years of history. Hope Auer has been writing stories and plays actively since she was very young. Through her schooling years she developed a passion for history and telling stories which eventually culminated in the writing of “The Promised Land Series.” In addition to writing, Hope loves the Lord, life, church, family, and children. 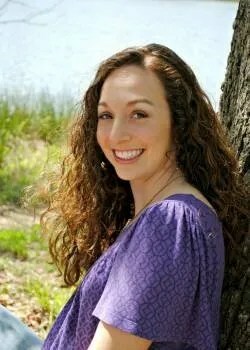 She was homeschooled and works and learns alongside her family, who are the first people to read her books. Hope has a heart for children that is evident as she helps in youth theater, teaches piano, and writes stories. Hope also has a little Shih Tzu named Sophie who often sits on her lap and helps her write. 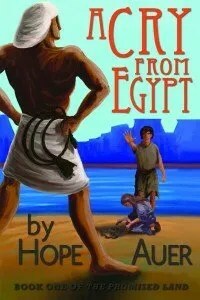 Step back in time and travel with me to Ancient Egypt to the time of the Hebrews being slaves. Written from a Christian worldview this will be unlike any fictional book that you’ve read based in Egypt. Having a child who is very interested in anything Ancient Egypt, it’s hard to find books and items that come from a Christian worldview and satiate her desire to learn about the Egyptians of old. In fact, it’s near impossible, since so much focus on is their fake gods and goddesses and other non Christian beliefs – so when I saw this new book was being offered to members of the TOS Crew, I jumped on it knowing my daughter and all three of my children would enjoy it. I used this as a read aloud to all three of my children, even though it’s geared for ages 8 years old and up, my 6 year old found himself engrossed in the story line as well. One caution, if your children are sensitive to ‘bad’ things you may want to pre-read it first – personally, I use these things as a teachable moment and we discuss it. There is mention of the brutality that was common place among the Hebrew slaves and their position as non-people – such as whippings. Again, this could be a teachable moment and since it’s written with a Christian worldview in mind it’s easier to read and use than something written specifically for a secular audience. The themes of faith, family, and forgiveness are woven through out the book and are easy for children to grasp, even with the sometimes deep plot. Even as a mom reading this some of it has spoke to me, such as the relationship between Jarah and her mother – it’s rocky and her mother is often not nice to anyone especially her family. This would be an excellent living book to use within your studies of Ancient history, Egypt or of the Hebrew captivity or just as a family book to enjoy aloud with one another. I appreciate that it’s written by a homeschool graduate, who understands the unique needs and wants of good literature for families when it’s so lacking today. There are illustrations at the beginning of each chapter which my children enjoyed looking at and these too are done by another homeschool graduate. If you want to see what other homeschool parents thought of this book visit the Schoolhouse Review Crew blog. We’ve all heard the statistics – obesity is at an all time high in our country even among children and in our culture with so many electronic gadgets and gizmos it’s hard to know when to draw the line and get the children moving. Family Time Fitness has a way to help prevent the not knowing how to get children moving – their Core PE Curriculum. Aimed for grades kindergarten through 8th this will have the whole family moving and having fun – together! 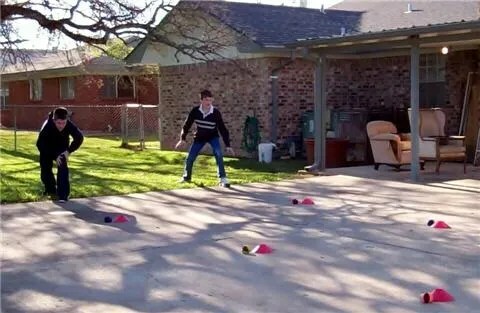 I have been using things like Wii Fit in our school as our physical fitness fill-in and that is okay with our state laws, however I felt that I needed to do something more – my two oldest are overweight – and my oldest is already insulin resistant. One hour of dance class wasn’t going to get it. When I had the chance to receive Family Time Fitness to review I was very excited. Using things commonly found around the house or easily and inexpensively obtained at dollar stores, Family Time Fitness is an inexpensive way to get your and your whole family up and moving. You, like me, may be having flash backs to the gym classes of old where you were made fun of because of lack of dexterity so getting hit with that dodge ball was almost always a given. Thankfully, since you home school that isn’t going to be an issue, but thinking of P.E. as boring or something to endure is and that is what makes Family Time Fitness such a great thing. It got my children and I up and moving, and I had to come up with some ingenious ways of doing things, such as after my son got a hula hoop stuck on our roof! This is for the whole family, not just the children with you overseeing, but to get you moving to – and you’ll feel the better for it. Not only will all of you be moving and getting healthier but you’ll find yourself laughing and having a good time without T.V. or electronics. It is 260 planned lessons which take about 45 minutes (make sure you read and understand what needs to be done before the lesson – saves time, trust me!) and you can chose to do the lesson three or four times a week. This worked great for us since we only do school four days a week. As their website says the cost of the program breaks down to $4.75 a month but if you have more than one child it goes down even further – for my three children it’s less than $2.00 a month for each (if you want technical it comes out to $1.58333333 per child per month). If you’re like me and not knowing what to do but knowing you need something more than what you are doing I suggest you check out Family Time Fitness – it’s made for homeschoolers to get up, get moving and get fit together. 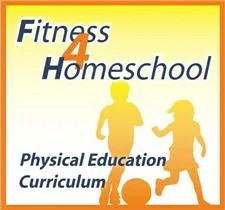 If you’d like to see what other homeschool parents had to say about Family Time Fitness check out The Schoolhouse Review Crew blog. I have a child who is a huge penguin fan – the fascination with penguins began when she was just 2 1/2 so it’s been going on for awhile and I had the chance to review Lots and Lots of Penguins from Marshall Publishing so my daughter was thrilled! Marshall Publishing puts out DVDs, CDs and books that are educational and fun at the same time – and at relatively great prices. For this review I received the bundle of 2 DVDs plus the bonus, the set included Playful Penguins and their To-Tapping Feet, Penguins in the Wild and the bonus DVD of Party Like a Penguin. I didn’t do any planned educational activities with these DVDs just put them in and let my children enjoy them – the only one who really sat and watched was my penguin fascinated daughter though. The Playful Penguins DVD runs 75 minutes and is filled with both animation and real life footage of penguins. If you think penguins only live in cold climates, think again, some live in South America and Australia. You and you’re child will enjoying learning more about the Little Blue, Rockhopper, Emperor and more and also be able to learn how to identify their calls – if you should ever run into one on your travels! The fun songs had my daughter spinning along as the songs put a great educational time in a way that some children can’t help but learn – through memorizing songs. The animations were quite silly and had both daughter and I laughing along but held our attention as we watched their antics play on. Along with penguins there are some other wild animals that will appear on screen so keep your eyes open and be prepared to learn more than you ever thought possible about penguins. Penguins in the Wild run 50 minutes and I have to say that neither my children or I particularly just sat and watched this DVD. I put it in and let it play as we cleaned or read. The reason for this was we just didn’t like the way it was filmed – this is the DVD that has no music it’s just the cameramen filming penguins in the wild being penguins. I could hear quite a bit of talking, between the crew and that sort of threw off my attention from the beautiful footage of the penguins. I don’t mind talking per se but since it was just supposed to be the filming and watching of the penguins and hearing whispering really detracted. I tried muting the T.V. volume but then of course you miss out on listening to the nature sounds as well. I would have liked this DVD more if the talking had been edited out – but it does a number of penguins like the Adlie, Gentoo, Royal and more so if you can overlook the talking then this is a great in real life look at penguins. Overall, this bundle is a great value and my children, especially my penguin extraordinaire will continue to watch them and I’m considering doing a unit study later on in our school year and having the DVDs go along with the study to really bring it to life. 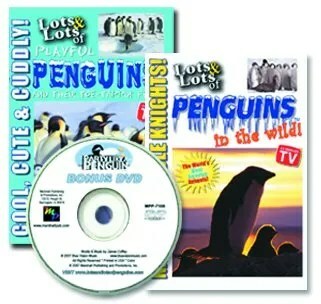 If you’re child enjoys penguins or your looking for away to bring penguins home to them then this is a great way to do so, with it being a low price of $19.95 and you get 2 DVDs plus the bonus this is a fun and wonderful way to bring an educational experience alive for your family! In today’s world we are living in a society where we encounter more Spanish speaking persons and for that reason making sure our children have at least a rudimentary understanding of Spanish is essential. I used to argue with this idea, why should America kowtow to another language – you live in America you speak English – however my mind has since been changed. We can learn so much from other cultures and it’s great to learn another language so when I had the chance to review Speekee TV with my children I was excited! My children have already completed about 1 and 1/2 years of Spanish so they can count, ask your name, tell you their name, etc in Spanish already along with some other phrases and words. Speekee TV is a complete immersion program that will easily saturate your child or children in real life Spanish with the aide of real child and real places. Divided into 10 lessons with different themes such as El Parque, El Zoo, La Playa, La Fiesta, and more the videos are consistent within each of these themes exposing children to the language. As homeschoolers we used the Fast Track and that gives 40 weeks of curriculum with 4 days a week of learning. My children are 6, almost 8 and 10 1/2 so what one found interesting and fun (the 6 year old) the other didn’t (the 10 1/2 year old). Since my children already knew the basics of Spanish we watched the videos that the children wanted – my still 7 year old liked the music and would spin to it while my son, the 6 year old liked the puppets, animation and watching the children. I loved how it was all laid out for me so I could see at a glance what we needed to watch on a particular day or what activity we needed to do. There are over 150 minutes of Spanish education in Speekee TV and it is fun and an entertaining way of learning. I also appreciated the worksheets that can be downloaded and printed off. Unfortunately, my printer decided to quit working and I haven’t been able to print off any sheets. I have viewed them on my computer and clear directions are given and they are high quality, professional worksheets. You can add in subtitles but it’s recommended that you have your child watch without them so that they can fully be immersed in the language. 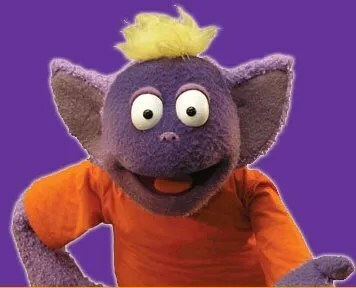 I tended to watch it with the subtitles and we didn’t do every activity such as making the Lupi and Dino puppets, simply because my children have never been much into puppets – so this program is totally tweak-able to how you teach and how your children learn. On most days I’d just chose a video or let the child pick and we’d watch one or re-watch and re-watch. My son particularly liked to watch the one about the ball, teddy and piano – so I just let him watch away. Generally, you should go in order but I like to follow my children’s leading in what they like to learn that day or that week. For those who worry about having to sit in front of the computer to do the lessons and watch the videos – have no worries. We were able to access them on my Kindle Fire and my iPod Touch – which made watching them on the couch together, very easy. This was definitely a great thing for my almost 8 and my 6 year old however my 10 year old seemed bored with it so I think it greatly depends on the child’s maturity level – I plan to continue with this great program. If you’d like to see what other homeschooling parents thought visit the Schoolhouse Crew Review blog.